I am stressed right now. I currently have too many projects, commitments and responsibilities on my plate. Some are large. Some are small. Nothing is life or death, but deadlines are looming and I’ve hit my threshold. I’ve been here before. It’s nothing new. I do this to myself every few months or so. My wacky ideas and desire to help people gain momentum and accumulate mass until they become a tsunami wave that almost drowns me. I always eventually find a way back to dry land where I take a break until the cycle repeats itself again. This pattern, and my experimental attempts to avoid this overwhelm has resulted in my Open Loop Theory of Stress. I believe that each and every unfinished project, commitment, errand, question, to-do, or responsibility creates an open mental loop that produces its own baseline amount of stress, regardless of the originating item’s complexity. This insight is based on my own observations, and supported by the Zeigarnik effect - which basically states that the human brain pays extra attention to unfinished items. So, something trivial like doing the dishes might only create 1 “stress unit”, but the fact that the dishes aren’t done yet creates 5 additional stress units. Only 1 out of 6, or 17% of the total stress is created by the dirty dishes. But 5 out of 6 stress units, or 83% of the project’s stress is created by the fact that it’s not done yet. These percentages scale in different ways. Let’s look at something complex like writing a novel. The novel itself creates 95 units of stress, and the unfinished nature of the novel – the open loop – creates the minimum 5 units. The total amount of stress is 100 units. 95% of the stress comes from the novel, and 5% comes from the open loop. This is a way better ratio than the dirty dishes example above. Now let’s assume that each person has their own mental and biological stress threshold. This threshold is different for everyone. A firefighter can probably handle more stress than a barista, but for the sake of discussion we’ll say that everyone maxes out at 100 units of stress. If a person hits this threshold, they’ll enter a state of overwhelm that makes it difficult to get anything done. This is more or less the gist of the Diathesis-Stress Model which is well researched and useful for this discussion. 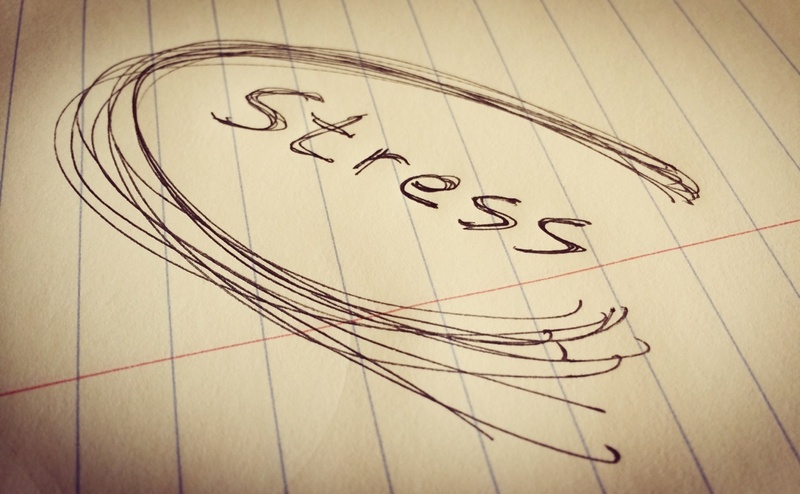 Given that each person has a threshold for stress, and that open loops create a disproportional amount of stress, it follows that many trivial but unfinished tasks can accumulate and result in stress overwhelm. This is a curious and dangerous phenomenon because the majority of stress comes from an invisible source: the unfinished nature of open loops. The invisible nature of this stress makes it dangerous because it can sneak up on us and is difficult to combat if we can’t see it. Someone could be stressed-out by many small items, but when they try to take stock of their anxiety they can’t find the source. They aren’t working on anything “stressful,” so from an outside perspective they shouldn’t have much to be stressed about. If we continue to use the 1-5 stress unit ratio for trivial items from above, then it only takes 17 unfinished items to break our 100 unit threshold and cause a person to become overwhelmed. 6 total stress units (1+5) multiplied by 17 items equals 102 stress units – or 2 over the threshold. 17 items seems like a lot, but a typical list of Saturday errands could include a whole slew of trivial to-dos. Gardening, grocery shopping, dry cleaning, cleaning the house, paying bills, cooking dinner, etc are all included on the list. That little tickle in the back of your head to update Twitter can can create an open loop. And anything outstanding like remembering to buy a present for your aunt’s birthday next week would also be on the list. It’s actually very easy to accumulate 17 open loops. The kicker is that almost none of them will be so trivial as to only create 6 stress units. Many of them are probably in the 10+ unit range. Quarterly goals and unfinished projects at work are both open loops easily in the 20+ range. Even just a few larger projects can drag our max open loop threshold down below 10 items. A high stress job or managing multiple clients could bring us all the way down to only 1 or 2 open loops before we hit our threshold, freak out, and can’t even make it out of the house to buy groceries because we’re so overwhelmed. So how do we combat this overload? Getting a few easy wins up front works for me. Tim Ferriss is a proponent of only doing what will have the most impact, and David Allen will recommend to just do whatever is on top of the pile, but when overwhelm hits I advocate for doing what’s easiest first. I’ve discovered that it’s a quick way to free up a disproportional amount of my stress bandwidth. The 12+ stress points that I can reclaim in 10 minutes by answering a few emails and doing the dishes will get me below my threshold and enable me tackle bigger projects like writing this article. It’s like a slump buster for stress. No, these easy wins won’t really have an impact on your life, but they will enable you to tackle the things that will. I’m reading Primal Leadership and it was talking about The Open Loop. So I googled that topic and landed on your blog. Can’t stop reading! I don’t know if it’s your ramblings or your eyes, but I’ll be back. I’ll check out the book! Goleman has been on my list for awhile now. Thanks!